“crazy” from the bench in Quebec! [UPDATED 6 May 2016] This is a new website, by a team of one in Montreal, Canada. My objective here is to focus on a subject of grave concern for the average individual who may choose to pursue his or her own interests at court without a lawyer. In Quebec, for nearly two decades, one man has successfully pushed the legal system into adopting an arbitrary and despotic approach to pro-se litigants, meaning lawyerless litigants. A former law professor, dean of law, and now a Quebec Court of Appeal judge, Yves-Marie Morissette, has identified self-represented litigants as likely “mentally ill”. He recommends that in due time, they must be “neutralized” by forced drugging with neuroleptics. Which of course implies civil arrest on a judge’s orders. 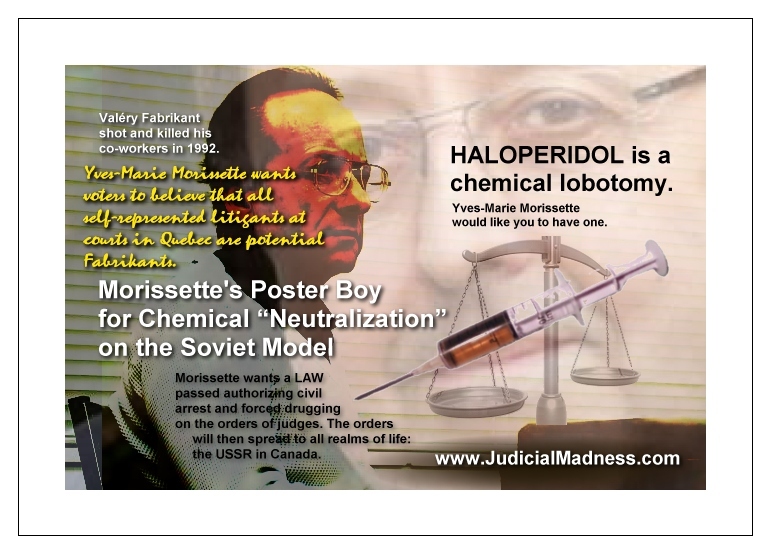 Morissette recommends the Soviet drug of choice, Haloperidol, used to torture and neutralize political dissidents in the KGB-run psychoprisons of the USSR. Haloperidol is neurotoxic: it causes brain damage. And is now being reported to cause fetal anomalies (deformed limbs) when administered to pregnant mothers in their first term. This web site therefore will also feature important articles about the Soviet practice of arresting and drugging political dissidents. That for which Dr. Anatoly Koryagin endured four years of torture and risk of death in a Soviet psychoprison – because he deemed it inhuman and wished the world to know – is now promoted as a good thing by former Dean, law professor, Quebec Court of Appeal judge (and apparently a Supreme Court of Canada prospect), Yves-Marie Morissette. Unlike Dr. Koryagin, Yves-Marie Morissette is not a psychiatrist, he has no psychiatric qualifications. And yet he writes articles for law magazines in which he purports to medically, psychiatrically “diagnose” pro-se litigants with a mental illness he calls “quérulence” in French (“quarrelsomeness” in English), simply by reading the judgments in cases where a lawyerless plaintiff or defendant has acted! 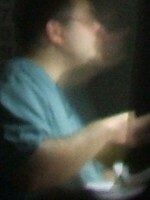 Yves-Marie Morissette has convinced the legal community to act on his unprofessional findings, to such an extent that as of 2003, Quebec Superior Court adopted “practice rules” purporting to authorize judges to declare a pro-se litigant “quérulent” (in French) and “quarrelsome” in English, i.e. 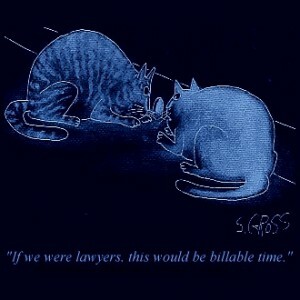 (mentally ill, as defined by lawyer Morissette!). La politique a ses mégalomanes, la médecine ses hypocondriaques et le droit ses quérulents. Ils engorgent et paralysent les tribunaux où ils sévissent. Ils font peur. Leurs comportements extravagants et irrationnels ont le don de déstabiliser le personnel d’une cour de justice. Les plus optimistes de leurs victimes regrettent amèrement de s’être trouvées sur leur route. En découdre avec eux lors d’un procès peut, en effet, s’étendre sur des années et conduire à la faillite personnelle. Le monde du droit les appellent « plaideurs vexatoires » et celui de la psychiatrie, « quérulents ». Politics has its megalomaniacs, medicine its hypochondriacs and the law its querulents. They clog and paralyze the courts where they prevail. They sow fear. Their extravagant and irrational behaviors have the gift of destabilizing the personnel of a court of justice. The most optimistic of their victims bitterly regrets being found on their path. A stitch-up with them during a lawsuit can, indeed, extend over years and lead to personal bankruptcy. The world of law calls them “vexatious litigants” and that of psychiatry, “querulents”. This would make it clear that courts in Quebec are practicing not law, but psychiatry, when judges issue “declarations of madness” against non-diagnosed litigants. It would also make it clear that law professor-dean-judge Morissette, in his “law” articles, also is not practicing law, but psychiatry. However, neither Morissette nor these judges are psychiatrists. They have no qualifications, no license to practice. Moreover, the description by Meunier on Morissette’s behalf of our “clogged” and “paralyzed” courts must be an unprincipled extravagant exaggeration. For, according to Hansard of 2009, Quebec Liberal Justice Minister Kathleen Weil had no statistics and could not cite even a single case, let alone the obviously necessary extreme list of numerous cases of “clogging” and “paralysis”, to prove an alleged need for these new draconian psychiatric provisions in the Code of Civil Procedure, giving a smoke-screen to judges to declare a lawyerless party “crazy“, without a psychiatric expertise. Of course, there are going to be cases of abuse of procedure in any court. But to walk into the legislature with a new bill on “quérulence” without even a single case in your pocket, in my view indicates that abuse of process is not what this bill is really for. What I learned from the National Library in Ottawa is that the judges, in a single day, by exchanging emails, decided to declare people crazy from the bench, and amend the Practice Rules to “authorize” themselves to do so! It is hard to imagine that judges would take such a drastic step in a day, let alone do it by email. Therefore, the speed with which these judges are reported to have done it, and the informality by which they did it (e-mail), lends the measure of declaring lawyerless litigants crazy from the bench the appearance of virtual insignificance. It was merely a touch-up to the Practice Rules! Dans la Gazette officielle du Québec, Partie 2, no. 36, le 3 septembre 2003, on trouve à la page 4002 “Avis de modifications aux Règles de pratique de la Cour supérieure du Québec en matière civile” incluant le chapitre XV, La Quérulence. Les modifications sont publiées sous le nom du juge en chef, Lyse Lemieux, et sont datées du 15 août 2003, à Montréal. Pour en savoir plus sur la procédure de changement des Règles de pratique veuillez vous adresser à la Cour directement. In the Official Gazette of Québec, Part 2, No. 36, on 3 September 2003, one finds at page 4002 “Notice of amendments to the Practise Rules of Quebec Superior Court in civil matters” including Chapter XV, Quarrelsomeness. [Translation: ]“Notice is hereby given that the Rules amending the Practice Rules of the Superior Court in civil matters, the text of which appears below have been adopted by the judges of the Superior Court via consultation conducted by email, on the date of 30th June 2003, in accordance with Article 47 of the Code of Civil Procedure”. The amendments are published under the name of the Chief Justice, Lyse Lemieux, and are dated 15th August 2003, at Montreal. There is a note on the bottom of page 4003: [Translation:] “Adopted in virtue of the inherent power of the Court and of Article 47 of the Code of Civil Procedure. For more information on the procedure for changing the Practice Rules, please contact the Court directly. Thus: the judges of Quebec Superior Court adopted measures to judicially diagnose litigants as mentally ill as defined by Morissette, using Morissette’s choice of word, quarrelsome (“quérulent)”, on the basis of an alleged “inherent power” to do so. Morissette has found himself a couple of handy psychiatrists to support his project. One of them, Dr. Évens Villeneuve, has included Morissette’s “quérulence” as an alleged symptom of schizophrenics, some of whom, moreover, are said to be at risk for suicide! Perhaps being judicially declared “crazy” would pose the real risk. The capacity for defamation, and for wanton destruction to life, employment, family, privacy and reputation by these outrageous “judicial declarations of madness” is more than obvious. The judges making these “declarations”, like Morissette himself, also have no psychiatric qualifications. Yet they are purporting to “declare” people “quarrelsome”, i.e. “crazy”, with no psychiatric intervention or expertise at all! Indeed, how could a court haul a psychiatrist in to examine a litigant in the course of defending himself in a civil suit? Obviously, the litigant would not submit. And the attempt upon him by the court would be an outrage. It would make the headlines. Therefore, skip the inconvenient requirement of a psychiatrist for a mental diagnosis, and go straight to “judicial declarations of madness”. Let the judges usurp an authority only available to members of another professional order, and directly declare the troublesome petitioner a “lunatic”. Judgments containing these “judicial declarations of madness” or referring to them, or citing then, are often published online for the world to see, for example in standard legal repertories such as canlii.org. Un signe qui, en général, ne trompe pas, est que .le plaideur quérulent se représente lui-même. Dans sa forme la plus virulente, la quérulence comporte un délire de persécution qui relève de la para­noïa, avec laquelle elle finit par se confondre; mais elle peut varier en intensité et tous les sujets ne sont pas également délirants. On a même avancé un traitement pour cette affection, à base de médica­ments comme l’haloperidol et le pimozide. Translation: One sign which, in general, is unmistakable, is that the querulous litigant represents himself. In its most virulent form, the quarrelsomeness includes a persecution delirium arising from the para­noia, with which it is confused in the end; but it can vary in intensity and not all subjects are equally delirious. A treatment has even been advanced for this affliction, based on medica­tions such as haloperidol and pimozide. 84. Necessity to obtain prior authorization. If a person acts in a quarrelsome manner, that is if that person exercises litigious rights in an excessive or unreasonable manner, the Court may prohibit that person from instituting an action or an application without having first obtained prior judicial authorization. Source: Chapter C-25, r. 11; Rules of Practice of the Superior Court of Québec in Civil Matters; Code of Civil Procedure (chapter C-25, art. 47); cited as “R.C.P.(S.C. )” or “R.C.P.”. Therefore, when a self-representing litigant finds him or herself “declared” “crazy” from the bench, he may not at first realize it. The consequences will thus unfold by surprise. Those “declared” mad are being listed as “quarrelsome” (“mentally ill“) in court registers to prevent them filing anything, in demand or in defense, without prior court approval. “If a person acts in a quarrelsome manner, that is if that person exercises litigious rights in an excessive or unreasonable manner”…. If you think this is going to apply to lawyers, think again. Judges were made aware that the new practice rule should be applied only to lawyerless litigants. 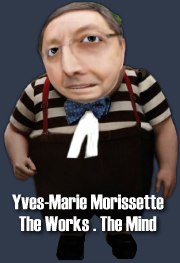 Therefore, people without a lawyer who are alleged to abuse process, are automatically insane, because Morissette’s “quérulence” is said to be a symptom of paranoid schizophrenia. Would you like to be judicially declared a paranoid schizophrenic from the bench? If so, go to court without a lawyer to defend your rights in Quebec, and you may have your wish come true. « Pour le moment, le remède que l’on a inventé, c’est non pas l’interdiction de litiges mais un contrôle judiciaire préalable sur l’exercice de recours. L’étape suivante va être l’interdiction physique d’exercice de votre droit d’ester en justice. Il y a des obstacles institutionnels importants parce que le droit de s’adresser aux tribunaux est considéré dans une société comme celle-ci comme absolument sacré ». It is no doubt because of those “institutional obstacles” that the judges began declaring people crazy long before the Quebec legislature in 2009 purported to “authorize” it by amending the Code to add the provision quoted above. 54.1. Les tribunaux peuvent à tout moment, sur demande et même d’office après avoir entendu les parties sur le point, déclarer qu’une demande en justice ou un autre acte de procédure est abusif et prononcer une sanction contre la partie qui agit de manière abusive. 2009, c. 12, a. 2. 54.5. Lorsque l’abus résulte de la quérulence d’une partie, le tribunal peut, en outre, interdire à cette partie d’introduire une demande en justice à moins d’obtenir l’autorisation du juge en chef et de respecter les conditions que celui-ci détermine. 54.1. A court may, at any time, on request or even on its own initiative after having heard the parties on the point, declare an action or other pleading improper and impose a sanction on the party concerned. 2009, c. 12, s. 2. 54.5. If the improper use of procedure results from a party’s quarrelsomeness, the court may, in addition, prohibit the party from instituting legal proceedings except with the authorization of and subject to the conditions determined by the chief judge or chief justice. There is no reason for the term “quarrelsome” in this provision of the Code, except to denote an alleged “serious mental illness”. Indeed, you must know the works of Mr. Morissette in order to know what the supposed “law” above, in fact means. But, the works of Mr. Morissette are not “law“. That alone would be a very good ground to invalidate this provision, since law must be clear, and its consequences foreseeable; but this provision is not clear, and its arbitrary consequences are not foreseeable. This web site will post information on the development of this concept in Quebec, the legality (illegality!) 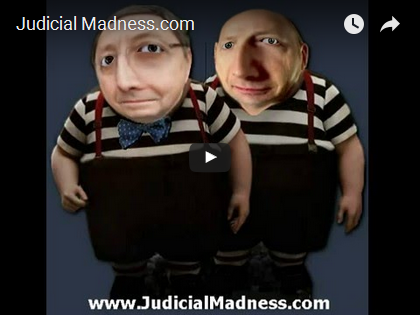 of these “judicial declarations of madness”, and the legal recourses available to lawyerless litigants who have already been stigmatized and “listed”, or who are at risk for being so. 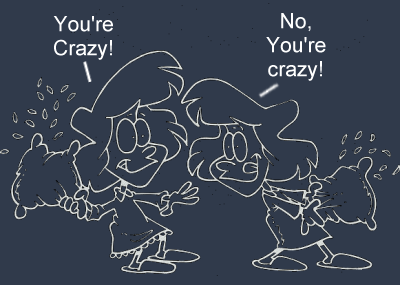 to declare anyone “crazy” from the bench! These “declarations” were added to the judicial practice rules on the alleged basis of “inherent power” and “article 47″ of the Code of Civil Procedure. However, “inherent power” is codified at Article 46 of the Quebec Code of Civil Procedure, which is the article the judges cite to back up these declarations, as they make them. Article 47 of the Code of Civil Procedure merely authorizes judges to make practice rules. 47. La majorité des juges de chaque cour, soit à une assemblée convoquée à cette fin par le juge en chef, soit par voie de consultation par courrier tenue et certifiée par celui-ci, peuvent adopter, pour un ou plusieurs districts judiciaires, les règles de pratique jugées nécessaires à la bonne exécution des dispositions du présent code. La majorité des juges de la Cour supérieure nommés soit pour le district de Montréal, soit pour le district de Québec peuvent toutefois remplacer ces règles, les modifier ou les compléter par des règles particulières applicables seulement dans leur district respectif. De la même manière, la majorité des juges de chaque cour peuvent établir des tarifs d’honoraires pour les commissaires et autres officiers nommés par le tribunal et dont la rémunération n’est pas, en vertu de la loi, fixée par le gouvernement; ces tarifs doivent être promulgués de la manière prescrite pour les règles de pratique. Le présent article ne s’applique pas aux juges municipaux nommés en vertu de la Loi sur les cours municipales (chapitre C-72.01). 1965 (1re sess. ), c. 80, a. 47; 1969, c. 81, a. 3; 1972, c. 70, a. 2; 1975, c. 83, a. 7; 1988, c. 21, a. 81; 1989, c. 52, a. 124. 47. The majority of the judges of each court, either at a meeting convened for the purpose by the chief justice, or by way of a consultation, held and certified by him, by mail, may make, for one or more judicial districts, the rules of practice judged necessary for the proper carrying out of this Code. The majority of the judges of the Superior Court appointed either for the district of Montréal or for the district of Québec may nevertheless replace, amend or complete such rules by special rules applicable in their respective districts only. Similarly, the majority of the judges of each court may make tariffs of fees for commissioners and other officers appointed by the court, whose remuneration is not, by law, fixed by the Government; such tariffs must be promulgated in the manner prescribed for rules of practice. This article does not apply to municipal judges appointed pursuant to the Act respecting municipal courts (chapter C-72.01). 1965 (1st sess. ), c. 80, a. 47; 1969, c. 81, s. 3; 1972, c. 70, s. 2; 1975, c. 83, s. 7; 1988, c. 21, s. 81; 1989, c. 52, s. 124. As visitors to this site will learn, it is absolutely no part of “inherent” judicial power to declare people “crazy” from the bench, with or without the formal existence of court “practice rules” purporting to authorize it. This is easy to know because “inherent power” has a particular legal meaning, which will also be explored at this web site. Therefore, citing Article 47 which authorizes the making of practice rules, cannot “legalize” “judicial declarations of madness” as being in virtue of “inherent power” or of Article 46, which merely codifies it. Nor can the new provisions slipped into the Code of Civil Procedure in 2009 authorize it. Bookmark and check back, to learn why. This web site is brand new, many items are not yet complete. The goal here is to make materials available in particular to English-speaking pro-se litigants, which have only been published in French. I am therefore translating law journal articles, news clippings, and other relevant items into English. It can be a long task. Some items are ready now. In particular, see “Completed Translations” in the sidebar. Please bear with me as the site is developed, and thank you. An important article by Morissette which has been completely translated is “Pathology and Therapeutic of the Warlike Litigant“, originally under the French title “Pathologie et thérapeutique du plaideur trop belliqueux“. I obviously recommend it as your formal introduction to “Judicial Madness”. Another prize pick is this 2002 interview by the Quebec Bar Review with law professor Yves-Marie Morissette, “The Ontology of Querulousness“, originally titled “Ontologie de la quérulence“. “Les quérulents… on en connaît tous un ou une !” / “Querulents…we all know one!“, from the Quebec Bar Review is ready. The article on “compulsive litigants”, “Les plaideurs compulsifs, des obsédés du tribunal” is ready. The article entitled “The Querulents: our courts are in fear of them” is ready. Se Représenter Seul (Without A Lawyer) is also ready. Finally, you will certainly find selected quotations from the writings and interviews of Yves-Marie Morissette informative. These will be updated as I translate more and add materials. (1) Querulous in Quebec and North Dakota, but not in Massachusetts… by The Papillon Task Force. (2) Judge Yves-Marie Morissette of the Court of Appeal: the Reference on Querulence in Quebec by The Papillon Task Force. * Translated from a Blog post of 18 June 2014 by Maître Philippe Chagnon for Les Editions Yvon-Blais / Thompson Reuters. Nota Bene: This web site was designed for WordPress, but the problems with maintaining, hosting, and updating WordPress are too numerous to mention. Therefore, this web site has been converted to good old HTML using PageNest free web site copier. The top (horizontal) menu contains numerous tabs under development that will be updated asap with resources for self-representing litigants. Articles and other resources are also being added to the sidebar menu. Meanwhile, please enjoy the posts and translated articles.